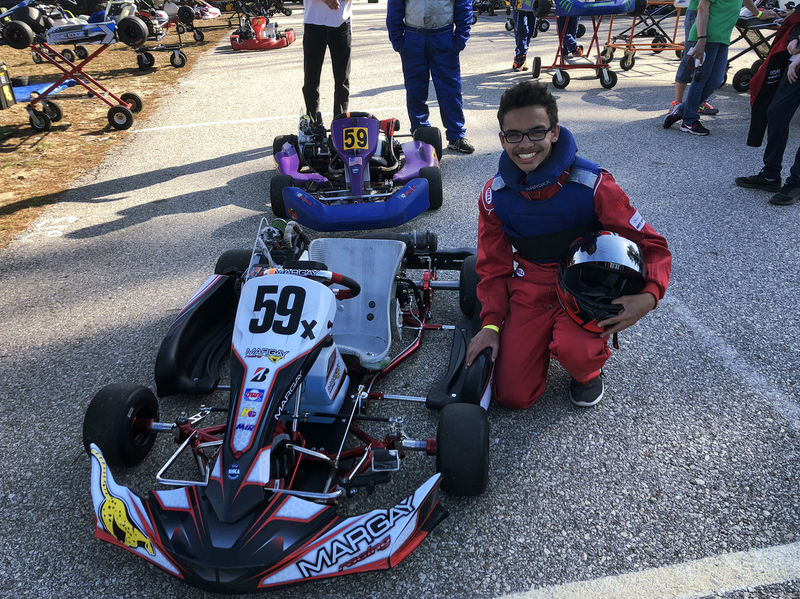 This East Coast Go-Kart Racing Champion Is A 15-Year-Old Phenom If you're a parent of young kids or teens, you most likely spent your weekend at a field watching soccer, lacrosse or baseball. Blake Lothian spends his weekends in go-kart races. Blake Lothian, 15, is an East Coast champion go-kart racer. He tried other sports but found that karts were where he excelled. Like many kids, perhaps especially boys, Blake Lothian first got into a go-kart pretty young – in his case around six years old at Rehoboth Beach in Delaware. But unlike most 6-year-olds, Blake was shockingly good at it. "Sure, every kid loves driving go-karts, but with Blake it wasn't that he just wanted to do it, it was when he did it... he was really, really good at it, and people noticed," said Cindy Lothian, Blake's mom. "I mean, we would go to go-kart tracks at the beach and he would get out there and race and he would just be zipping in and out and passing [the other drivers]. You might think it's not competitive, but those guys were getting mad." But for Blake Lothian, something about him and a go-kart just clicked. "I did baseball, I did soccer, I did some other sports," Lothian said. "I wasn't very good at them, but I tried 'em. And all of a sudden racing came up and I was like, 'oooh, I'm good at this, this is good.' I just have good hand-eye coordination. I know what trajectory to turn the wheel to make sure the kart settles itself in, what to do if the back end kicks out a little bit, what to do to still make the turn so I can make a pass on a straightaway. I think I was just born with it." His racing so far suggests that's true. 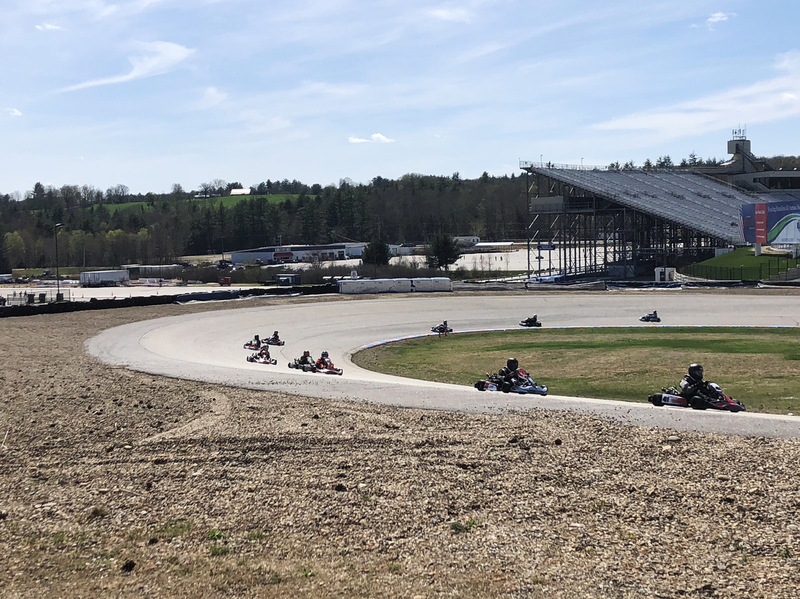 Last year, Lothian dominated his class, called LO 206 Senior, losing only two official races out of 10 to his coach, Mike Camarra, who runs the New Hampshire Karting Association. This year, Lothian is making the jump to a more difficult class, called "World Formula Light," where the engines are more powerful, and the karts go faster – roughly 65mph to 70 mph. The drivers, mostly men well into adulthood, are also tougher, more seasoned — and more aggressive. They're nicknamed "The Hooligans." "This had the biggest class and I wanted more competition," Lothian said. Would have been easier to pick a class with fewer people, which might have allowed him to win more? "Yeah, but I wanted to race against more people, you know. I wanna go out here and win," he said. Karting is all over New England in some form, but the more well-known official races generally take place in two spots, Canaan and Louden, N.H. Lothian's first race of the season took place at Louden, on a track set up in a parking lot overlooking the renown New Hampshire Motor Speedway, the only track that hosts NASCAR National Series races in the region. Lothian did pretty well in his first World Formula Light class, finishing in the top 10, which he said was all he really wanted. "I'm just expecting a solid top-10 performance, like just hoping to run with the top guys in the class," he said. "Because you know first time in this engine, first time with all this new equipment, just don't know what to expect." The second race, though, was certainly unexpected. Around a hairpin turn, one of the hooligans pushed Lothian off the track and a rock knocked the kart's chain off. That left him stuck in the middle of the track, having to be towed off the course, and in last place for the start of the one race that really mattered, the third and final test of the day. Go-kart drivers race around the track. The more well-known official races in the northeast generally take place in Canaan and Louden, N.H.
Was the pack trying to take out the new kid, the young hot upstart? "Maybe," Lothian said with a smile. But if Lothian was upset about his position, he didn't show it. And as he got his kart in line for the final, Lothian said being in last place was actually a great spot for him. "You wanna go in with the attitude, 'this is just a chance to pass more karts, make it look cooler.' I definitely want to be either up front or in the back," he said. In the last race, something happened that we couldn't see from our side of the track: Lothian kept passing the other karts. By the third-to-last lap, he was in fourth place. On the final lap, at the last turn, Lothian pulled ahead. "He did it. He got third! Way to go! Way to go," screamed Cindy Lothian when Blake pulled in after the race. "I got third?" Blake Lothian said, beaming. "Yes! I just started from second-to-last and I made it up to third. Oh man. I was just hoping to finish in the top 10. And, like, this is crazy. I'm just still in shock that I just did that." Blake's parents are ecstatic too. His performance in his first race is confirmation that their family's dream may be on track, that within the next two years Blake will be out of the go-kart and onto the main stage, that oval NASCAR track he can see just over the hill from the third-place podium.